Before you undergo back surgery near Miami, you’ll meet with the surgeon and other healthcare providers at a spine institute. During your consultation, you’ll receive all the information you need to prepare for the procedure and to have a stress-free recovery. After making the following preparations, you can look forward to relief of your back pain. Can Smoking Contribute to Back Problems? If you’re like many people, then you know that tobacco use increases your risk of stroke, lung disease, and cancer. However, you may be surprised to hear that smoking can damage your spine. If you smoke cigarettes and suffer from back pain in Miami, then keep reading to learn about the connection between these 2 factors. Back pain is incredibly common, but it’s also frequently preventable. If you’re experiencing severe or persistent back pain and live in Miami, consider talking to a spine specialist about your symptoms. 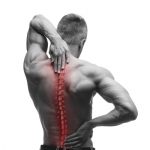 Back pain is treatable with both nonsurgical and surgical approaches. Some of the most common causes of back pain include muscle strains, herniated discs, and poor posture. Having spine surgery for your back condition is a serious decision, but it may also be the best way to get relief from your symptoms. Although spine surgery typically involves a substantial recovery period, an increasing number of back surgeries are performed minimally invasively, so recovery times are shorter. What Can You Do to Promote Herniated Disc Recovery? Herniated disc pain can range from mild to severe, and for some patients, it can be debilitating. Fortunately, there are a number of different options your doctor can try to ease back pain related to herniated discs, from physical therapy to back surgery in Miami. If you are suffering from this kind of back pain, here are some of the herniated disc treatments your doctor may recommend. Experiencing short-term bouts of mild back pain is not uncommon, and this type of problem usually resolves itself without a need for medical intervention. However, some types of back pain should not be ignored. If you suffer from back pain, then there are a few signs to watch for that mean you could benefit from seeing a back doctor in Miami.